Gili Trawangan Lombok Charm That Never Sleeps. Lombok Island Indonesia is one of the destinations that will provide natural beauty to anyone who visit it. Located in the administrative area of West Nusa Tenggara province which geographically have many islands. One of these is Gili Trawangan. Gili in the local language means small island. An island was settled around the year 1970. 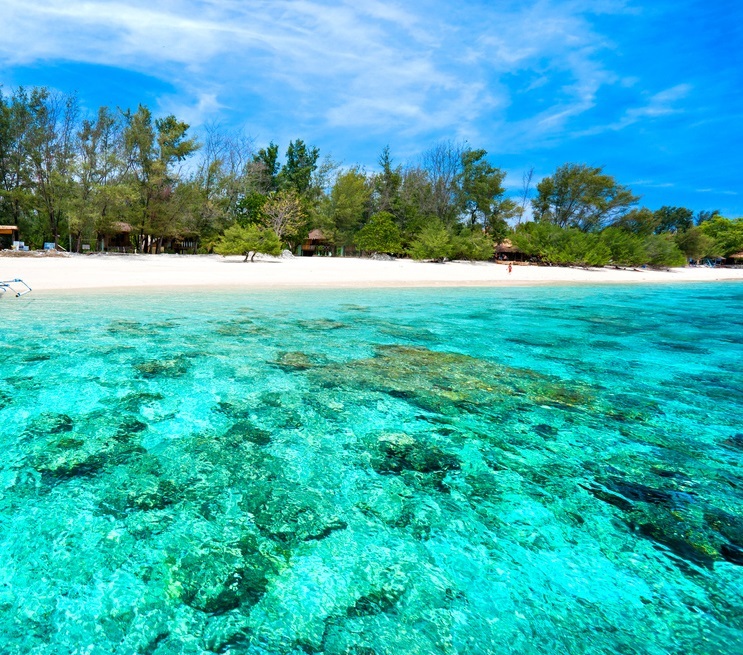 Because of the potential beauty of its beaches and the sea floor is very charming Gili Trawangan eventually became one of the favorite destinations of tourists, especially foreign tourists. Many things that we can enjoy there ranging from diving, snorkeling, relaxing on the beach, watching the sunset and sunrise as well as exploring the island on foot or by bicycle. For information area of the island is not too big that is 3 kilometers stretching from north to south and 2 kilometers from east to west. Not forgetting more festive atmosphere of the night until dawn with a variety of performances and entertainment both traditional modern mauun. One thing that is special is the absence of motorized vehicles on the island so there is no air pollution. To get to Gili Trawangan Lombok we use a plane and landing at the airport Selaparang Lombok. After that move to the area of Senggigi and crossed by boat to Gili Trawangan.